Did you know that the most boring sounding waveform - the sine wave - is the one that is used to build all sounds you can hear? It is a lovely paradox and for that, we decided to dive deep into the insides of Omnisphere to see what kinds of sounds you can draw out from this most basic of building block of sound. In addition to the pure test tone, the sine wave from the internal synth engine, plus quite accurate sine waves from a Moog and a Jupiter 8, we made some sounds with a handful of sine-sound-a-likes from the Roland JD800, a vintage organ and some quasi-sine waves from the Roland Jupiter 8. Plus a handful of extra bonus sounds made with sounds from a Stylophone. The keywords for this soundset is: mellow, ambient and at times a bit noisy. Style: Bass, lead, pad, atmospheres, drums and arpeggios. 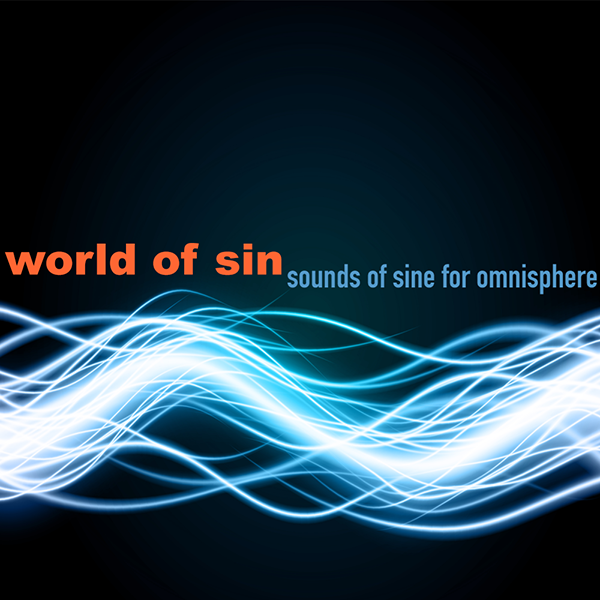 IMPORTANT - World of Sin is a soundset for the Spectrasonics Omnisphere synthesizer. This product requires a fully working copy of Omnisphere to work. This is not a sample set. Please check out the FAQ before buying.